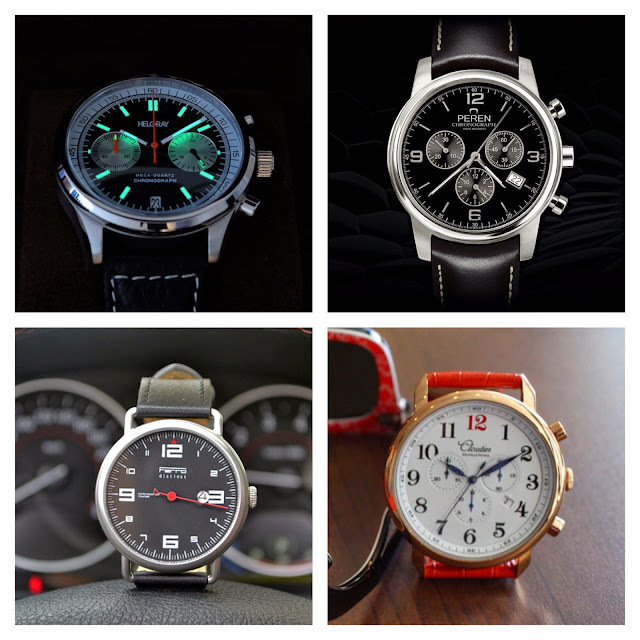 When it comes to crowd funded watch projects, Helgray's Nadim Elghary is a seasoned pro. 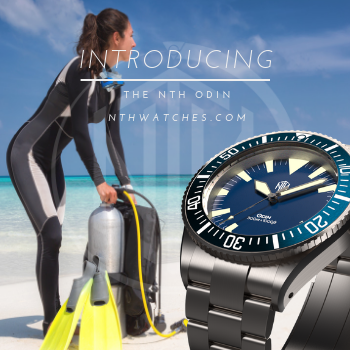 In addition to the outstanding Helgray Field Watch series, he is also a partner in Rossling & Co., and the mastermind of Makara dive watches. 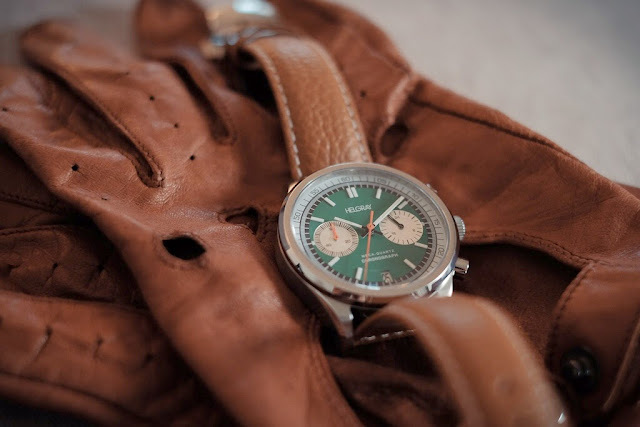 Today's launch, the Silverstone, is inspired by racing chronographs of the 1960. It is powered by the amazing Time Module VK64 Meca-quartz by Seiko. This is a hybrid movement that provides quartz accuracy and reliability for general time keeping. Depress the chrono pusher, and it engages a mechanical module that ticks 5 times per second, providing high precision, a smooth sweep, and very mechanical "snap back" when you reset. The Silverstone has proper vintage proportions, measuring 40mm across and 11mm thick from caseback to the top of its domed sapphire crystal. Water resistance is 50 meters. Buyers may choose from four colors: white, black, blue, and green. The Time Bum is particularly excited about this release, and judging from its performance today, I am not alone. The project smashed its funding goal in about an hour. Pre orders start at $229. I gave you a head's up on Ferro a few weeks ago when the project was still being refined. Today it is live. The Distinct is a 44mm, wire lug, one-hander designed to replicate the look of a dashboard instrument. It is driven by a Ronda 505 Swiss quartz movement and features a sapphire crystal and 100 meters water resistance. The date window will be repositioned to 4 o'clock for production. Three colors will be offered: black, off-white, and a third to be determined by vote after the campaign. Rewards start at $179 CAD (@ $157 USD). So let me ask you this: how many Transylvanian watches do you own? Zero? I thought so. Andy Bica wants to change that. After training in Bienne, Switzerland, he returned to his native Romania and hatched Peren. Inspired by the WW2 IAE-80 fighter plane, it uses a Swiss made Ronda Startech 5030,13 jewel quartz movement. It has a clean and conservative black dial with three registers and applied markers. 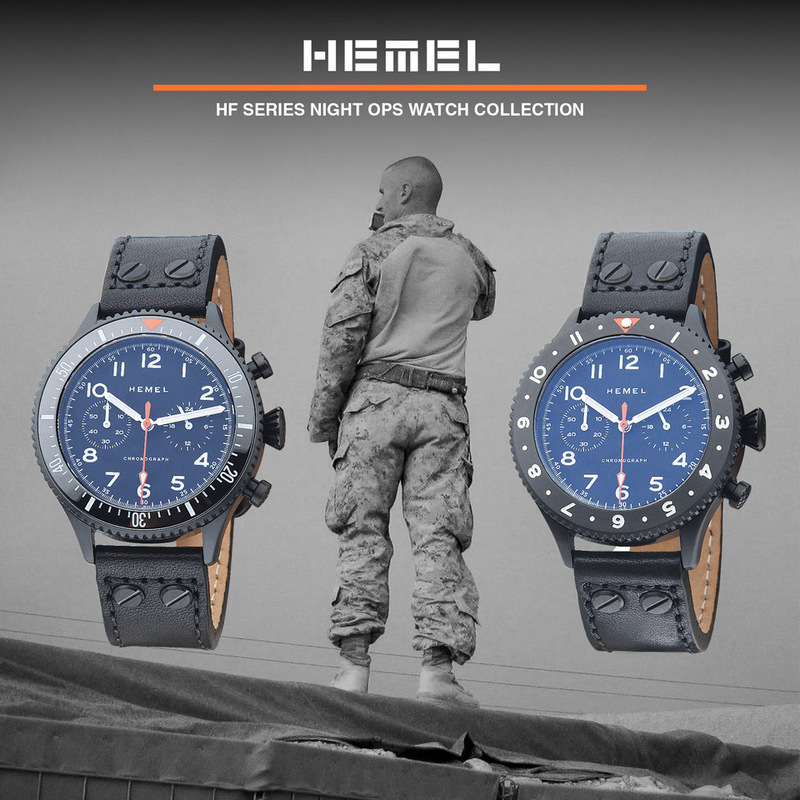 The hands are treated with SuperLuminova. 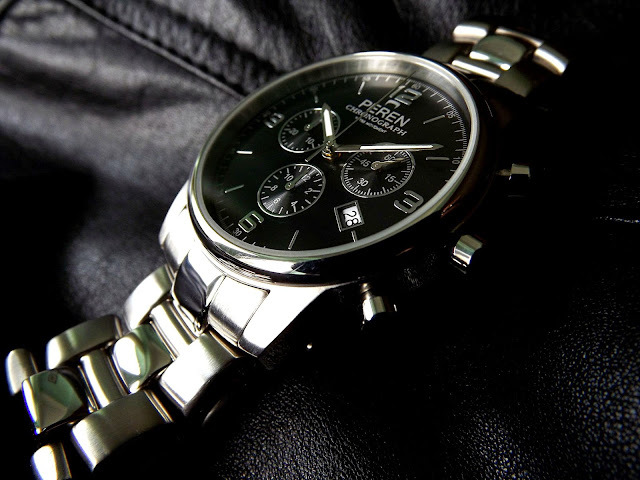 The brushed stainless steel case is 40mm wide and water resistant to 30 meters. 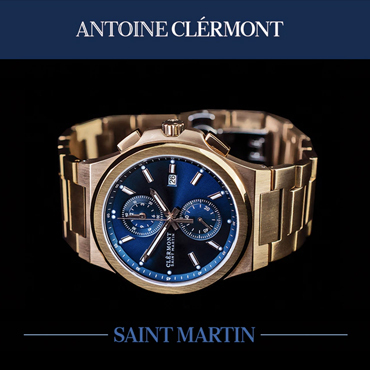 Four models are available: brushed bezel, polished bezel, PVD gold finish, and polished bezel on a stainless bracelet. 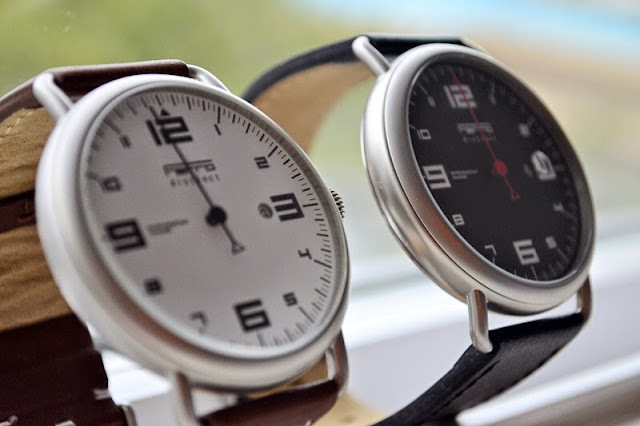 The watch will retail for $250 CAD, but Kickstarter pre orders start at just $190 CAD (@ $167 USD). 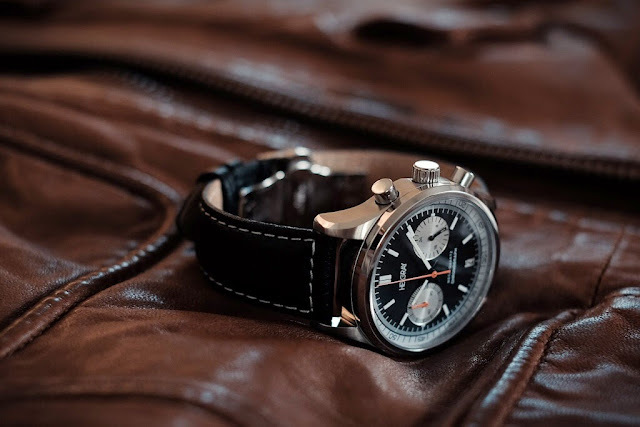 Zipping over to IndieGoGo, we find Le Classique (Ronda 715 three-hand), and Le Chrono (Ronda 5030D three register chronograph), a pair of antique style watches with a modern humanitarian purpose. For each watch sold, Cloutier Nouvelle-France pledges to donate $25 CAD to WaterAid, a nonprofit that supports clean water infrastructure in sub-Saharan Africa. The watch itself is rather pretty. 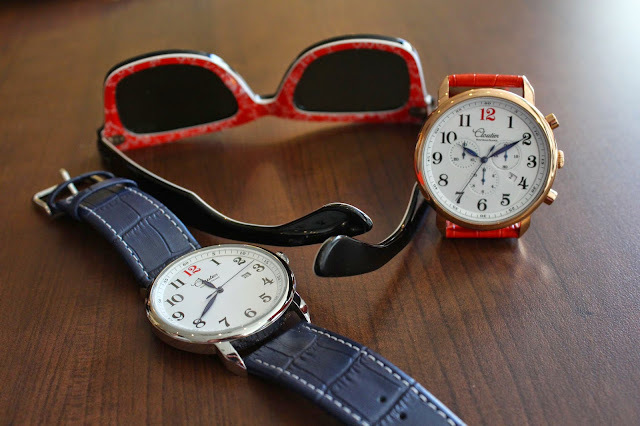 These white dial watches use an elegant serif typeface for its printed numerals, blue hands, and a bold red 12. 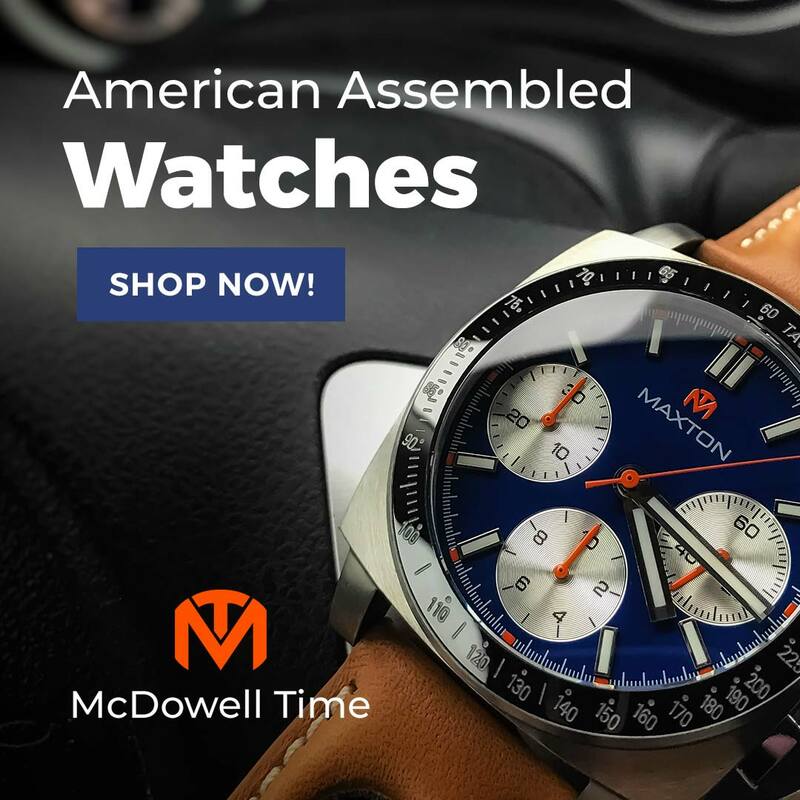 Options include a 40 or 46mm polished stainless steel case; gold, rose gold, or steel finishes; solid or skeletonized feuille hands; and black, brown, red, or blue leather straps. Water resistance is 50 meters. Full retail will be $199 CAD for Le Classique and $249 CAD for Le Chrono, but early birds can get theirs for as low as $129/$179 CAD (@ $113/157 USD).